Fog is very rare here at Domaine l’Ancienne École, but this morning we woke up to a blanket not just of fog, but freezing fog, which had left ice encrusted on everything. However, at the top of our Vinsobres Syrah plot the sky was clear. 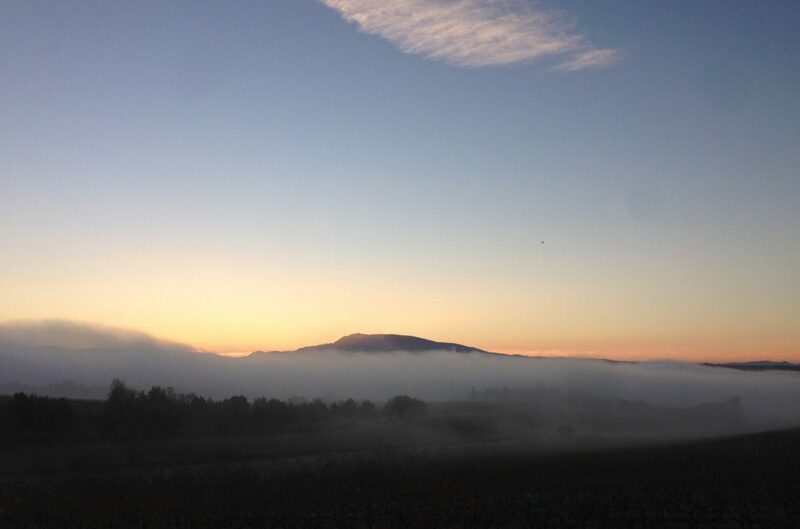 Here’s a rather nice shot showing the blanket of fog over the Domaine with the sun about to rise over the Mont Ventoux beyond.